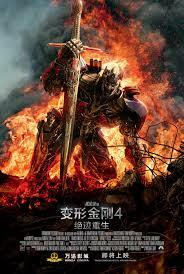 Michael Bay, Giant Robots & Emerging Markets: How Hollywood investors are learning to stop worrying and love the kaiju. A friend of mine recently posted on Facebook some rather witty criticisms about Michael Bay’s filmmaking skills. He asked, why are these films being made if they’re crap? And then laughingly pointed out that it’s because people like him had gone to see them. He was referring to the new Transformers: Age of Extinction movie, in this instance, but he’s not the first one to point out the recent vogue for giant things crushing cities in movies lately, and their lacklustre critical reception, films like Godzilla, Pacific Rim and the Transformers franchise. 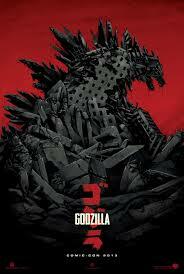 (Kaiju is the name for these huge, almost elemental creatures bent on destruction, from classic films like Godzilla and Mothra) And even though these films are often critically panned, people are surprised to learn they’re making sequels. He makes one valid point: a large proportion of films are made with his demographic in mind, the 16 – 35 year old white male is frequently the target audience, though they are by no means the largest group going to see films. The industry is slowly starting to take into account that there is a large proportion of the population, for example, that are retired and have disposable income, so we’re starting to see a rash of films, like Last Vegas, aimed at that generation, and some of those films are quite good. The MPAA also show that 52% of film goers are female. Is it that directors, who are almost exclusively male in Hollywood, just making what they would want to see? The answer is, no. They are making what they can also sell to a huge emerging market: Asia. China and India have emerged as markets that are voracious film watchers, and American films do quite well there. What they are discovering is that they can make a lot of money with films that are action focused rather than dialogue heavy, because these translate better as the focus is on spectacle. And the spectacle aspect is what draws a large proportion of viewers in. So, essentially, they can sell the movie twice, because it does well in the Western world, and then in the huge Eastern box office. It should be interesting to see how this trend effects what films are made in the future, and how this will affect the market. With a huge slate of comic book films coming up over the next few years (nearly 25!) and films which are special effects heavy, we are starting to see a marketplace where the costs of producing these films are huge. Most of the most expensive films of all time have been produced in the last fifteen years, and that’s taking inflation into consideration. 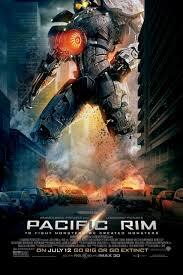 The two guarantees to investors are that as a franchise you have a demonstrable market in the Western world if the film is a franchise, and, if it’s got giant robots for example, you can sell it in the East for huge profits. So, why would investors expect to get money back from supporting, for example, an independent film or films with a target audience that is considered to be a minority? And if the US studios have enough money available to them to invest in huge films like this, does that raise the bar too high for local studios in Asia? How will that influence the films that they make? It would be easy to feel that all this is a bad thing, after all, people do love to be cynical about the Hollywood industry and the studios, but I wonder, will this mean that investors might start investing in smaller films in Asia since it is an emerging market? Might this actually mean a boost to the industry there? And if the money is pouring into Hollywood, then investing in films becomes an attractive option for investors, which might mean that more films have a chance of being funded, even the smaller ones, because the industry itself is then lucrative. It also means that there is money for huge leaps forward in special effects and CGI, which I think is a really exciting prospect. It’s a theory anyway, we’ll have to wait and see. But to return to Michael Bay, why is he allowed to loot our childhood toys to create generic films with underwritten female characters (sorry, I couldn’t help it)? Because he has the perfect stock: a proven track record as a director, a franchise on his hands and a product that can sell well in emerging markets. So whatever you might think of his films, as a businessman, he’s a clever boy. Hey, thanks for the re-post. 🙂 Glad you liked it.